The London Borough of Newham’s planning committee last night unanimously gave the green light to our £15m mixed-use scheme on the edge of the Royal Wharf regeneration area in the London Docklands. 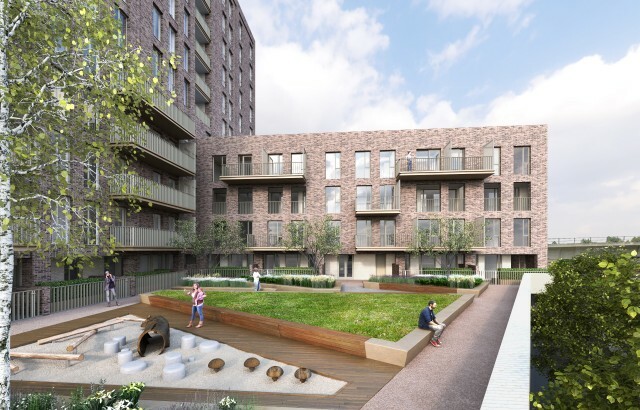 76 private sale and affordable new homes form the scheme’s housing offer, a high percentage of which are family-sized units, along with two podium courtyard gardens for residents to enjoy. 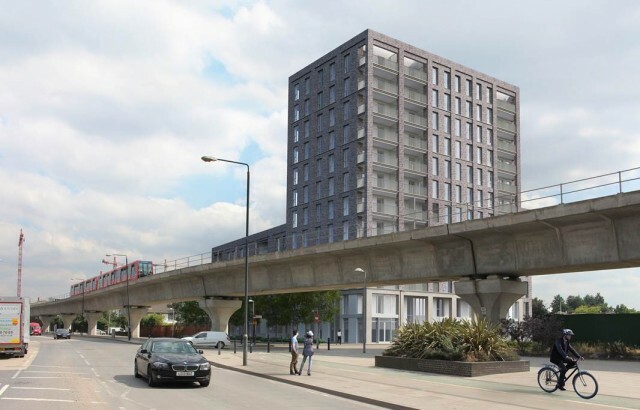 The site on the corner of Knights Road and North Woolwich Road is well-connected by the West Silvertown Dockland’s Light Railway station, but not without its challenges given its proximity to the DLR track. Our design mitigates this while still bringing forward dual-aspect homes, new commercial space and public realm to add to the sense of place. The warehouse-style brick scheme will rise from five to 12 storeys, acting as a marker building for the nearby DLR station. The architectural treatment includes deep reveals to create private balconies that punctuate the facade with a lighter brick tone. Stockwool is now taking the scheme through RIBA Stages 4 and 5 for Hollybrook Homes, with construction due to start in Spring 2017.